It’s the end of the world. A flood is coming. Luckily for Dave and his son Finny, a couple of clumsy Nestrians, an Ark has been built to save all animals. But as it turns out, Nestrians aren’t allowed. Sneaking on board with the involuntary help of Hazel and her daughter Leah, two Grymps, they think they’re safe. Until the curious kids fall off the Ark. 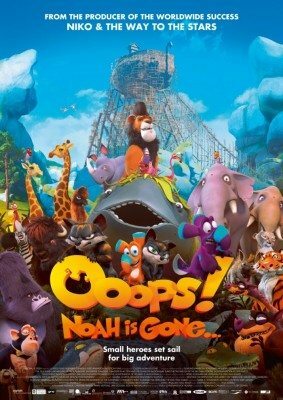 Now Finny and Leah struggle to survive the flood and hungry predators and attempt to reach the top of a mountain, while Dave and Hazel must put aside their differences, turn the Ark around and save their kids. It’s definitely not going to be smooth sailing.